The fourth entry in the series of open-world action games, in which the players assume the role of chaos-wrecking Rico Rodriguez. This time, he is trying to bring order to the fictional country of Solis in South America. Thanks to the Apex technology, Just Cause 4 features high-quality graphics and dynamically changing, frequently extreme, weather conditions. The third installment in a popular series of sandbox action games that came out after a five year hiatus thanks to the original creators, Avalanche Studios. The game features new adventures of special agent Rico Rodriguez, who works for a secret branch of CIA, known as The Agency. You travel to the Mediterranean region, specifically a small republic of Medici, which suffers under the iron fist of merciless general Di Ravello. Just as in the previous installments, your task is to overthrow the dictator. The game lets you explore an area covering over 400 square miles, which you can traverse any way you like. There, you find series of story-related objectives and side missions. You travel across the island using a large spectrum of available vehicles and gadgets, including the fan favorite - grappling hook. The hero can make use of classic small caliber firearms, as well as some bigger, heavy duty weapons. When it comes to audiovisuals, the game was designed with eight generation consoles in mind, displaying a big quality leap when compared with previous installments in the series. A continuation to the 2006 action game developed by Avalanche Studios. 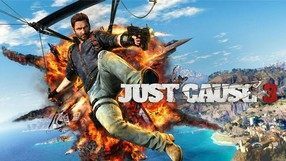 In the game, we learn the later fate of agent Rico Rodriguez, who set out on another dangerous mission; this time around, to Panau, an island in Southeast Asia. The new installment of the series features nearly unchanged gameplay mechanics, giving the players complete freedom in deciding the quest order and exploration of the climatically diverse isle. Once more, the protagonist runs, jumps, swims, and drives various kinds of land, air, and sea vehicles. Thanks to the enhanced physics, we may enjoy a more realistic driving model, while Rico — beside parachuting — can perform some really reckless stunts. Compared to its predecessor, Just Cause 2 is visibly prettier in terms of graphics. It is also enriched with entirely new vehicles and a myriad of additional weapons. 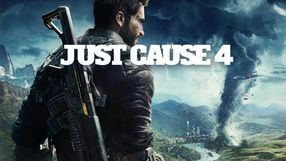 A third-person action game developed by the Swedish Avalanche studio (Just Cause is their first AAA project). The game takes players to an exotic South American island called San Esperito, which covers the area of over 1200 square miles. 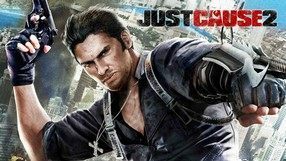 The player assumes the role of Rico Rodriguez - a CIA agent tasked with overthrowing the corrupt self-made government and investigate whether the island holds any weapons of mass destruction. The players get at their disposal an open world waiting for them to explore with no limitations. To do this, the player can utilize cars, boats, choppers, airplanes, and even parachute. On his mission, Rico encounters factions fighting for power over the island - one can gain their trust by completing special missions assigned by a given faction. In total, the story campaign comprises 20 main missions and a number of side missions that can be completed in any order. The player can use a wide arsenal featuring 25 types of weapons and multiple pieces of gear - from standard pistols to rocket launchers.